After the end of modern civilization, the world hangs in a dreadful balance. Humanity, giant beasts and aliens live together, all fighting to survive a wasteland littered with scars of the apocalypse. 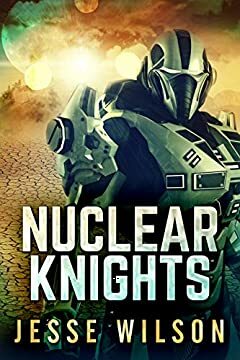 The Nuclear Knights - humanity’s last defenders - disappeared five years ago to parts unknown. Now, the last remaining piece of human society on a space station plots to reclaim the Earth for themselves. Seeking help from the reclusive heroes to survive the coming war, the last survivors of mankind soon face a deadly last stand that will forever change the future of their world.